Treat your loved ones with some activities that we've handpicked with love. VALENTINE’S DAY. Either the best or worst day of the year for most of us – or maybe just a day to encourage pointless consumerism. But whether you’re heading out for a romantic meal, sitting in with a ready meal or just simply treating it as any other day – we’ve put together some cute ideas for you so you can celebrate without completely breaking the bank. Disclaimer: all activities stretch to both Galentines and Palentines. If any of you have ever been fortunate enough to visit Melbourne in Australia – you may have stumbled across Doughnut Time. The doughnuts are honestly unbeatable, and they have recently opened a few stores across London. I would suggest giving them a follow on Instagram because they will make you want to quit your diet immediately. For Valentine’s Day, they have released some special, exclusive doughnuts alongside a pair of mini ‘Engagement ring’ doughnuts that you can get delivered by Deliveroo! Doughnut proposal – worth the wedding IMO. So take a trip with your bae and share some delicious, doughnut-shaped love. Valentine’s Day falls on a Wednesday this year, so that means you can still use Meerkat Movies and get 2 tickets for the price of 1. You’re spoilt for choice with new releases such as ’50 Shades Freed’, ‘Black Panther’ and ‘The Shape of Water’. An extra bonus if your local cinema has sofas you can cuddle up on. What says ‘I Love You’ more than a heart shaped pizza from Asda for £2? 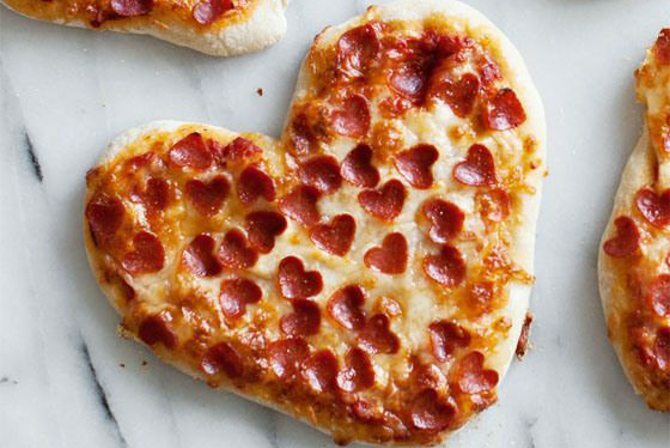 Continuing with the pizza theme and if you’re thinking of popping the question this Valentine’s or just declaring your undying love for your partner, why not say it with pizza? There are five limited edition pizza’s that will be available to order through Just Eat on Valentine’s Day between 17:00 & 22:30, so get your orders in! Comedy clubs are usually cheap, hilarious and an extremely wholesome activity. Head out for the evening and shell out a couple of quid each and do something a bit different. 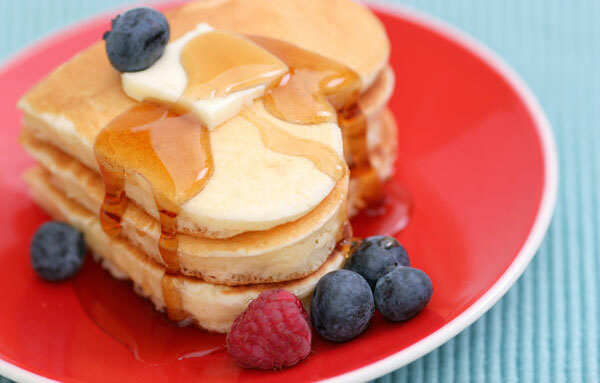 Pancake day coincidentally falls the day before this year, and to be honest I’m a great believer that Pancake day should have its own holiday. Get yourselves a couple of heart shaped pancake rings (or if you’re really arty then just try and shape them straight into the pan), have a night in and indulge on love filled pancakes, strawberries and marshmallow toppings – or whatever takes your fancy! If you’re dating a music lover – take it back to the old school and make them a mix tape filled with song’s they love or songs that you THINK they will love. Creative, thoughtful and personal and won’t cost you anything at all. Check out some of these cute recipes and have a cosy night in. Some of the desserts look so delicious and there’s enough options there to impress your best friend or better half for at least the next month. If you fancy venturing out or just not having to worry about cooking for the night – there are a fair few restaurants offering special Valentine’s deals. Not everyone’s idea of romance, but if you want to keep it cheap Wetherspoons is offering 2 meals for £20. However, if you want to go a bit more upmarket then you can get fed at Pizza Express, Carluccio’s or Zizzi’s for approximately £20 a head. Now, most people love receiving flowers. If you order through Interflora you can get £15 cashback on a £15+ spend! Maximum brownie points and minimum impact on your wallet – perfect. Find out how here. Happy Valentine’s Day everyone! Treat the ones you love and let us know what you got up to in the comments section below.